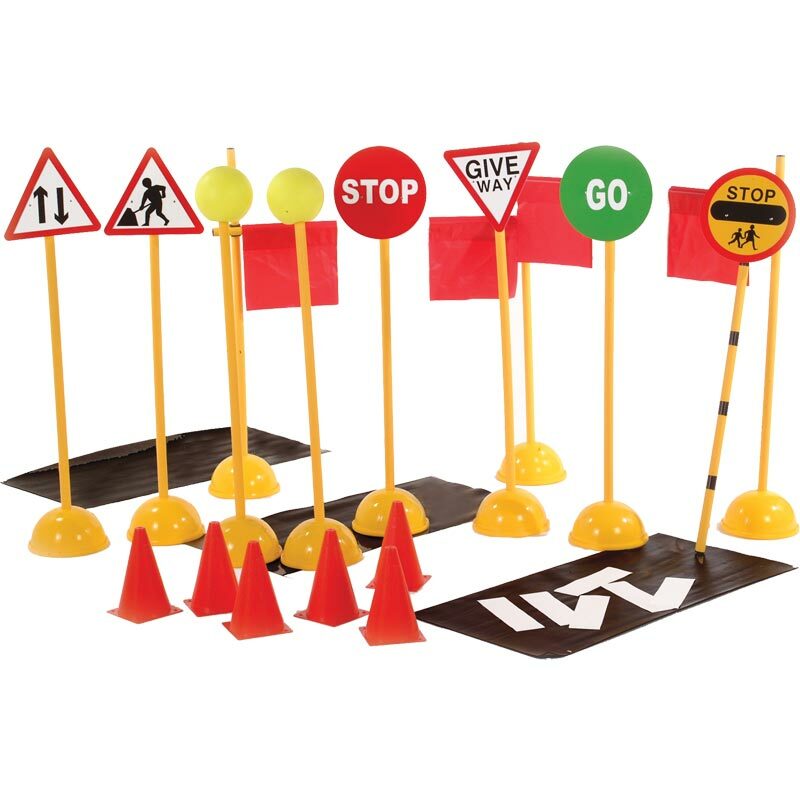 This deluxe First Play ® Road Crossing Set is superb for introducing road safety through role play. Perfect for teaching road safety. Supplied in heavy duty storage bag. 1 x Zebra Crossing Mat. 1 x Pair Belisha Beacons. 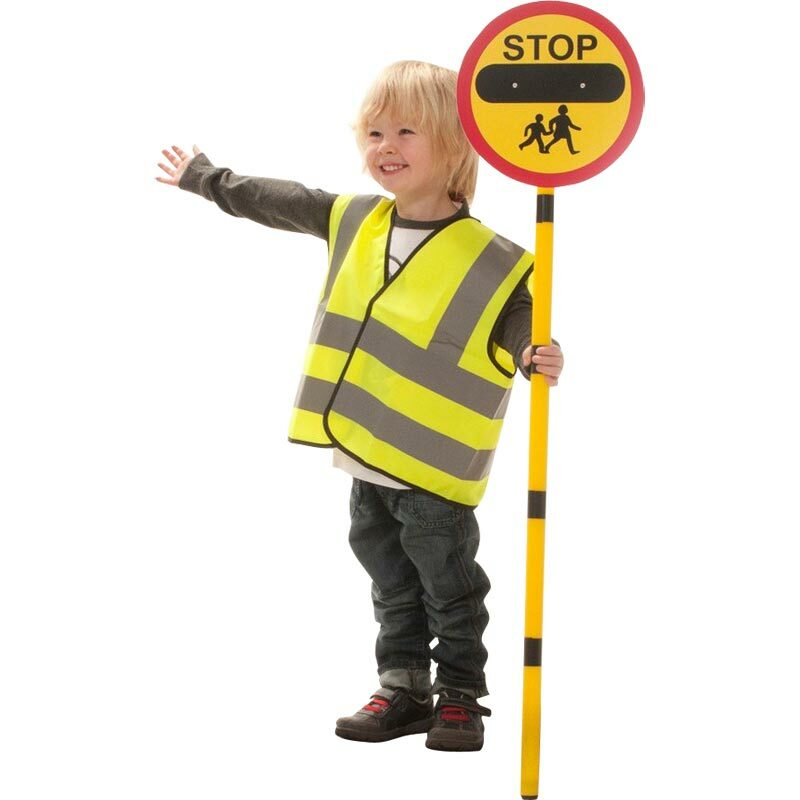 1 x Lollipop crossing stick. 5 x Road Signs with posts & bases.